Join me Monday April 13 1pm EST/ 4pm PST on Blogtalk Radio, Let’s Ask the Angels with my special guest, Brigitte Parvin. She is co-authoring a book with Doreen Virtue to be published in 2016. She is an Angel Therapy Practitioner and Medium. This week I was guided to use the Daily Guidance Oracle Cards by Doreen Virtue. The angels see that you are ready to finally release a negative pattern that has been holding you back from growing. In order to do so it is important to let go of all your emotions around this person and situation. By inhaling and exhaling deeply several times you can release this by giving your fears, worries, anger, and any other painful emotions to the angels. We are not forgiving the actions per se but rather the human being who committed the action. Holding on to anger towards a person or situation takes your energy or life force from life. This message is also about avoiding blaming yourself or others. Focus on your desired outcome instead of your fears or judgements. We will see that all of it is a blessing in disguise. By grounding yourself you will be more focused and have better concentration. This will deeply impact your life in all areas. By spending time in nature, walking on the grass barefoot or even soil, eating root vegetables or even visualizing roots coming from the bottom of your feet into the earth. 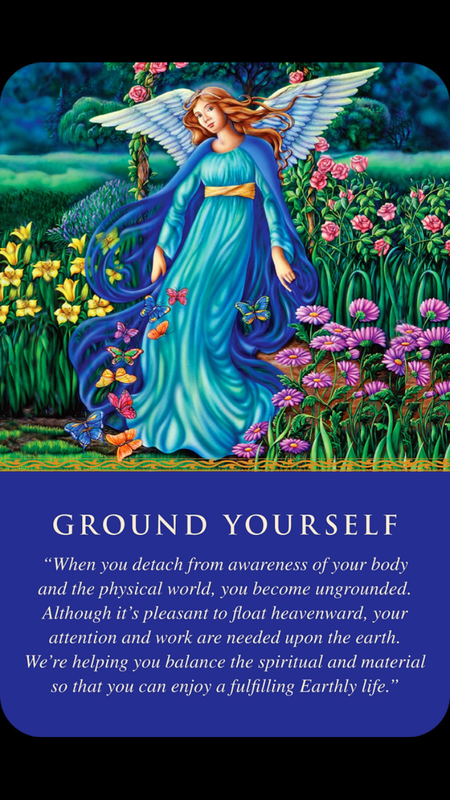 By being grounded you also connect better with your angels therefore having heightened intuition or psychic abilities. Spend some time gardening or work with flower essences. Make changes in your diet and lifestyle so that you are more aware mentally and physically. Take the time to be present to the words you speak or write, so as they communicating clearly and are understandable. Have the courage to be authentic and connected in your relationships. The angels sent us this message as a reminder to have a balanced life. Too much work and worrying can cause irritability, fatigue and depression. 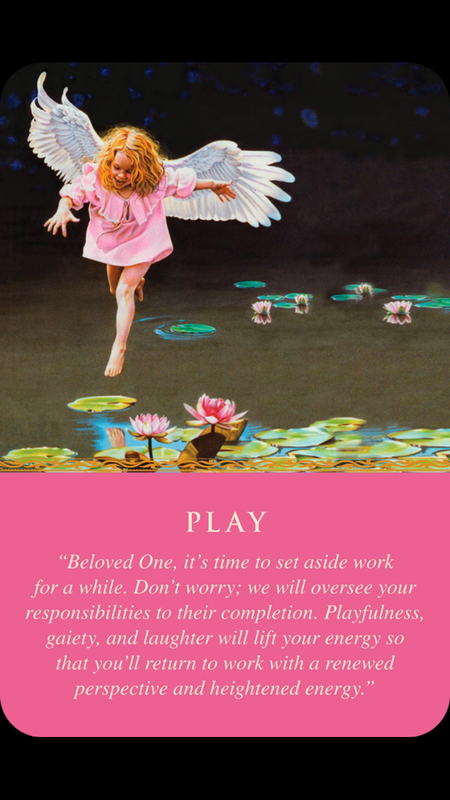 The angels say to incorporate more fun in your life! Make sure it’s not competitive, just light and easy. You deserve happiness, pleasure and enjoyment. It doesn’t have to cost a lot to have fun! Your creativity and ideas will flow easier. Rest assured all your work will be looked after by the angels. Relax and let go! Enjoy yourself – today! This week the angels assist us with being present to how we use our energy. By forgiving a person or situation we have greater access to peace. Spending time in Nature allows us to connect more deeply. Having more fun and balance in or lives gives us energy and happiness. Your happiness, health and peace is supported by the angels! Sessions are by phone, email, Skype barbara.calvano10 or in person in Manhattan. Previous Weekly Angel Oracle Card Reading for March 30 through April 5. Next Weekly Angel Oracle Card Reading for April 13th through 19th.